So your WordPress site was hacked? Don’t panic. 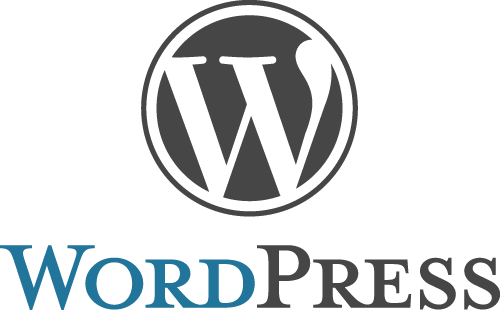 It is important to understand that your WordPress website was hacked because it was not secure in the first place. Fixing your site will temporarily bring it back online but will not prevent it from being hacked again in the future. Starting at $50/month we will remove your malware, get your site back online and take the necessary measures to keep it from being attacked again in the future. How can I tell if my site was hacked? When your WordPress site is initially attacked you usually will not notice much unless you dig deep and start clicking on your links. Sometimes a link may get hijacked and it will take you to a viagra website or a bunch of invisible links will be injected into the footer that take you to other unscrupulous websites. As the malware spreads through your site you will begin to notice pages starting to break and eventually your entire theme will stop working. You will likely end up with a website that no longer has any styling and is just a white canvas containing your content that is riddled with malicious links and scripts. If you let your site sit long enough with the malware it will eventually get blacklisted by search engines and antivirus companies. This is usually a worst case scenario and means you need to fix things ASAP. What does a hacked WordPress site look like? If your WordPress website gets hacked and you do not have a recently made backup to restore from it can be bad news. Most of these hacks are automated and once they gain access to your site they inject many, many files with a malicious script. Usually the purpose is to generate a bunch of links to pharmaceutical sites or something similar. OK, my site has been hacked. Now what? If you think your site has been hacked there are a number of tools you can use to try and confirm your suspicious. Here are a couple for free websites you can use to scan your site and see if there is any malicious code/links detected. Unmask Parasites will run a scan that helps reveal “hidden illicit content (parasites)” on your site and give you a list of the scan results. Use this tool to re-affirm your suspicions of malware. Another free tool that is helpful can be found at Virus Total and will run a scan of your site and cross reference it with a bunch of different security sites to see if you have been blacklisted. It will tell you what sites have you blacklisted so you can begin the process of removing those blacklists. In addition to the free scanners just listed there are a number of plugins in the WordPress repository that will help you identify malware within your site. Two plugins that are helpful are Anti Malware and Antivirus. Both plugins are free and super easy to use. Simply install, scan and analyze. In many instances if your site has been hacked you may not even be able to access your WordPress admin section so using plugins might not be an option for you. You have confirmed that your site has been hacked, it is riddled with malware and has been blacklisted by some of the major players. It is probably time to get help. You will want to hire someone who can not only remove the existing malware on your site but prevent it from ever coming back again in the future. Simply removing the malware and not taking preventative measures to protect from future attacks is absolutely pointless. If your site has been compromised once, it will most certainly be compromised again if the proper security measures are not taken.